In the forest a little girl with a red hood skipped along. She was on her way to see her grandmother. Suddenly a scary wolf jumped out in front of the little girl. He asked her what she was doing. "Taking cookies to grandma's house", the little girl answered. The wolf hurried off to grandmother's house... Do you think he will get there before Little Red Riding Hood does? 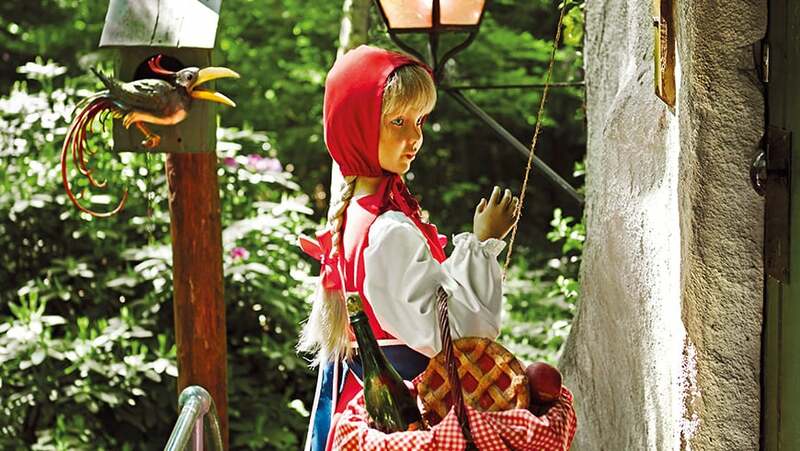 Did you know that you can meet Little Red Riding Hood in Efteling? She skips through the Fairytale Forest. Charles Perrault thought up this fairytale. He wrote it down in the book 'Tales of Mother Goose'.